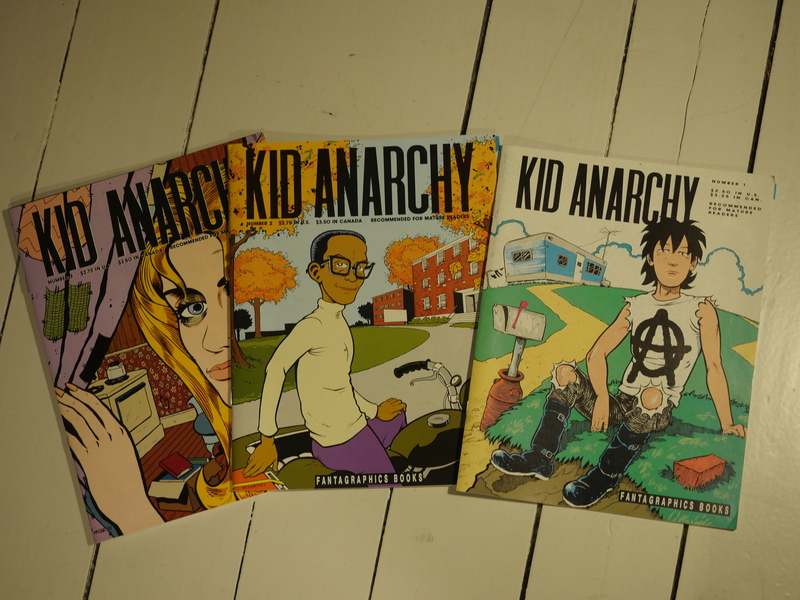 Kid Anarchy #1-3 by George Cole and Mike McCarthy. 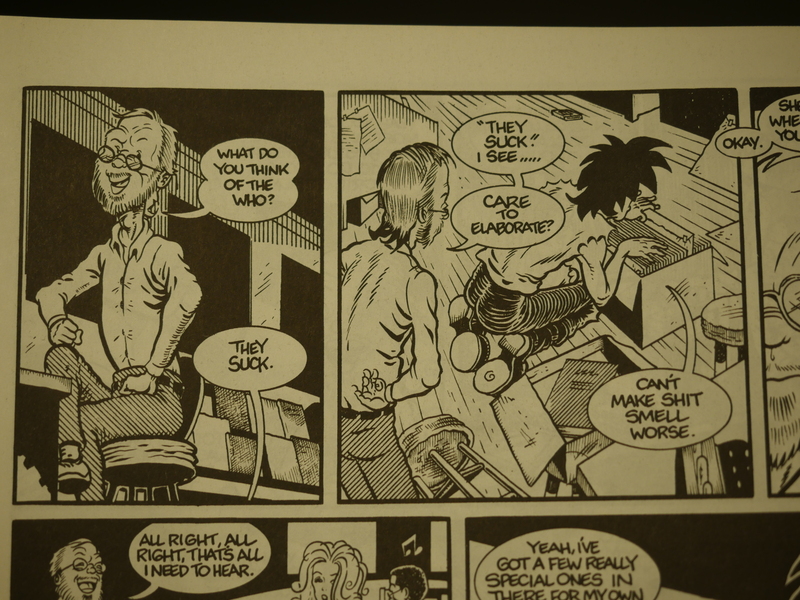 Picking up a comic book with from a writer/artist pair always makes me sceptical. 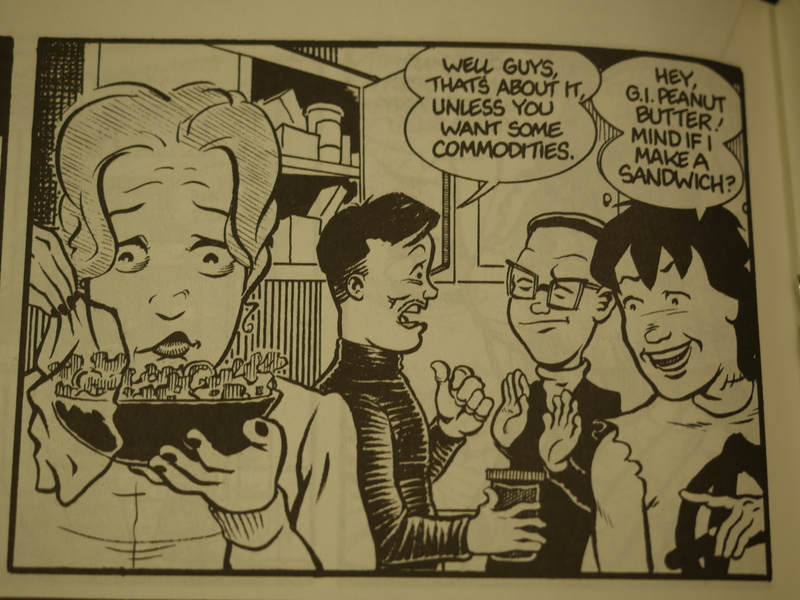 Statistically speaking, single author comics are better. But perhaps this one is the one that will convince me once and for all that that’s a stupid prejudice! Yes! Oh, deer. Gander at that deathless prose. Yikes. There’s reams and reams of captions like that. It’s not just the captions, though. The dialogue isn’t always this leaden, but stuff like the above isn’t an aberration, either. The artwork’s kinda nice, though. It’s clear, lively and expressive. And sometimes the dialogue works. Nina’s hair keeps getting more and more complicated. 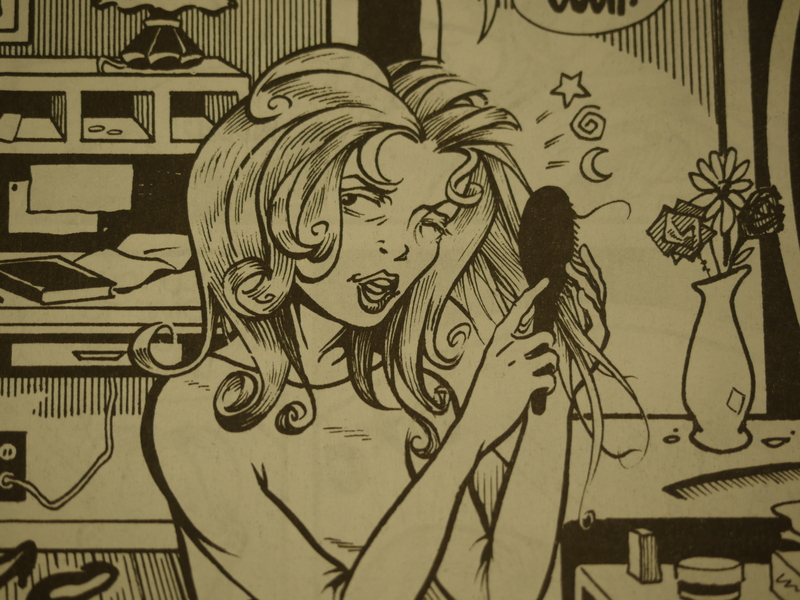 But that’s very nicely drawn hair, so whatevs. Love those flowers in the background. 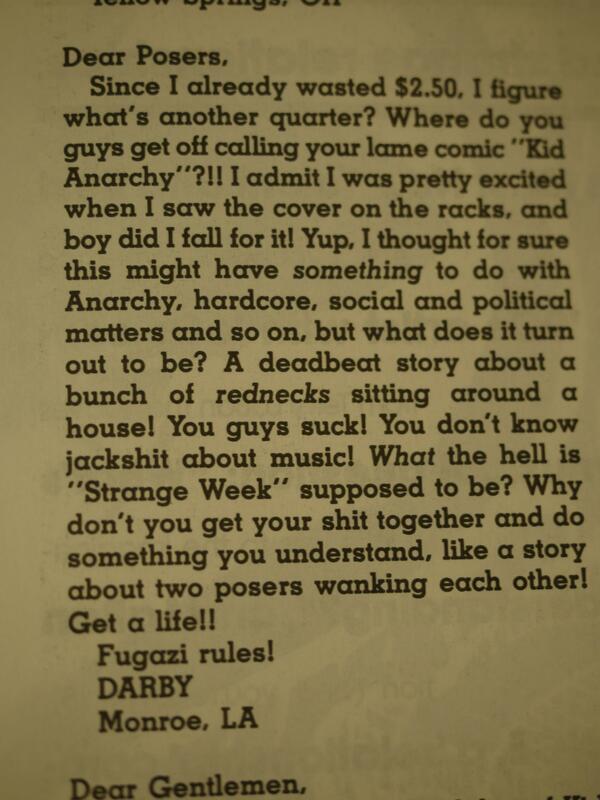 Amongst the praise (apparently Kid Anarchy is better than Love & Rockets) on the letters page, we also have this frank expression of disgust. Oh, yeah, I forgot to mention what this comic is about: It’s about teenagers living in a southern small town who are on the cusp of growing up and moving out of the town, so it’s a bit wistful and melancholic. It feels like parts of it may be autobiographical. But what was it Kim Thompson said in that Zero Zero editorial? Just because it happened doesn’t make it interesting? Something like that. The first two issues claim to be quarterly, while the third and final issue says that it’s released annually now. There’s no mention of the book being cancelled, but it does reach a kind of conclusion by the end of the issue. And it’s by far the best issue of the three. 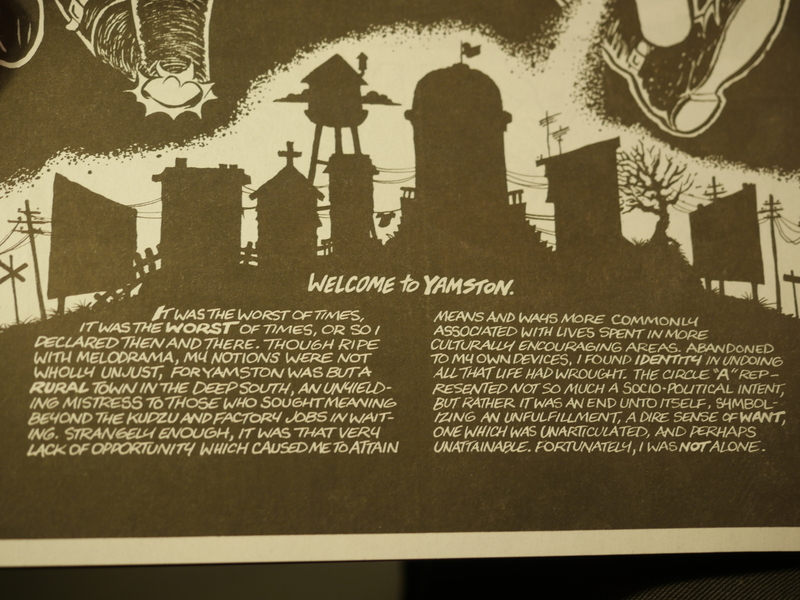 Most of the overwrought text is gone, and the dialogues are mostly wince-free. It feels more emotionally honest than the first two issues, too. I’d almost go out on a limb here and say that it’s quite good, but I don’t want to sound too fanboyish here! The creators have tried making the series into a film, but that’s apparently not happened yet. Mike McCarthy is now a film-maker. Two minutes of Googling has not revealed what George Cole is doing these days.